Hoverboards and other types of electronic skateboards are being banned from UO campus buildings due to concerns over fire and injuries. The ban, which affects all areas of campus, goes into effect immediately. Students living in residence halls who own hoverboards will be able to put the devices in a temporary storage facility until they can be removed from campus. 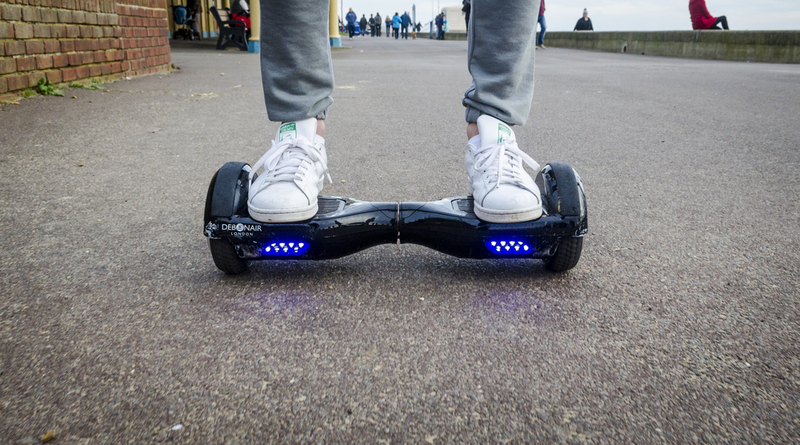 Numerous fires and injuries related to hoverboard batteries have been reported around the country. Many universities, airlines and cities have taken similar action to protect people while the federal Consumer Products Safety Commission investigates the devices. The UO ban does not affect mobility or accessibility devices that are not hoverboards and are not recreational in nature. Reports indicate the problem with hoverboards is connected to the batteries and charging systems. Batteries have overheated during charging and caught fire, causing extensive damage and injuries. The university is acting to protect the campus community while a solution to the problems is sought. Resident students who cannot immediately remove their hoverboards from campus should drain and remove the battery before it can be placed in storage. The university will provide a secure storage area that the fire marshal has approved as a holding facility. The ban applies to all university-owned buildings, including athletic facilities and facilities in Portland, Charleston and elsewhere. If future changes or improvements make the devices safe, the university will reconsider the ban.